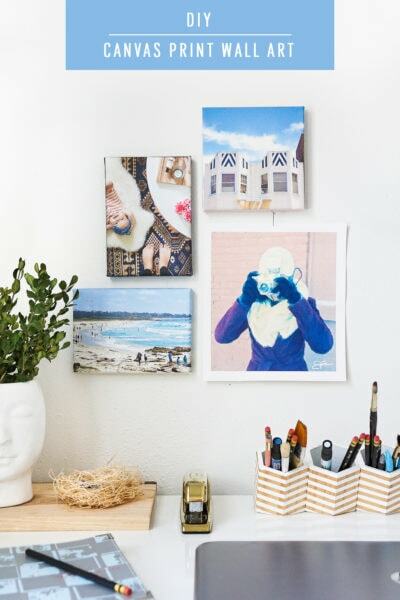 If you’re like me and you’re making it a New Year’s goal to finally print out some of those pictures you’ve been hoarding on your phone for the past year, then this DIY canvas print wall art has your name written all over it. 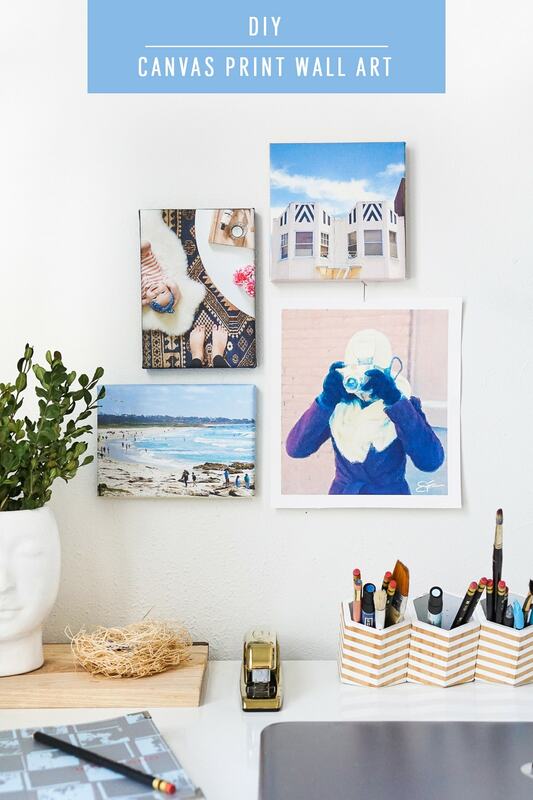 I, Erin, recently discovered an amazing little thing called printable canvas, which allows you to print photos onto textured canvas using your home printer and stretch them onto wood frames for gallery-wrapped-style wall art. Pretty cool, huh? 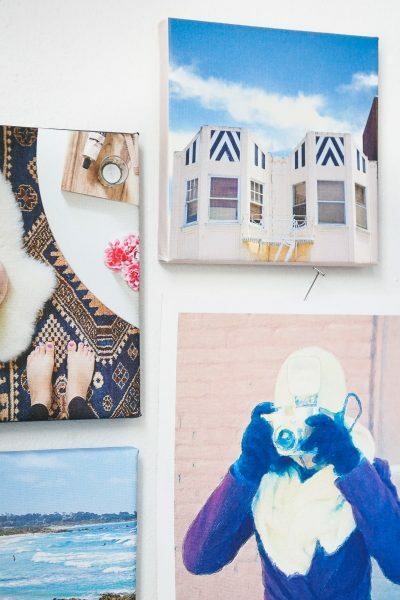 Read on for the how-to on turning those iPhone snaps into canvas art! Notes: For this project, I’m working with 5”x 7” and 5”x 5” canvas frames. The sizing was limited by my printer which prints a maximum size of 8.5”x 11”. 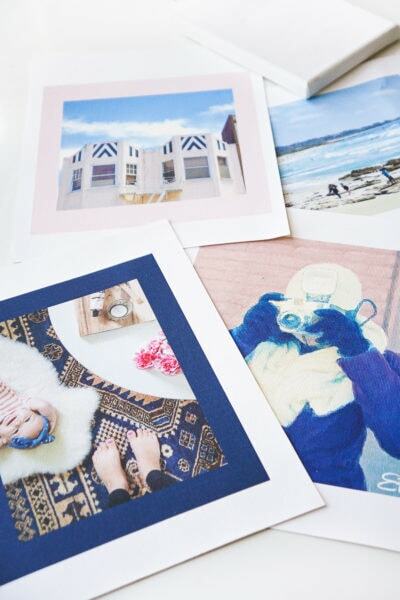 If your printer can handle larger formats, consider using 11”x 17” printable canvas for additional size options. 2. Then pick the ‘rectangle shape’ from the top tool bar and draw a rectangle roughly 2-3 inches larger than your photo. Just eyeball it. 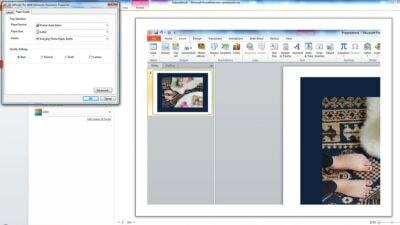 Right click on the rectangle shape and choose ‘Send to Back’ in order to send it behind your photo. 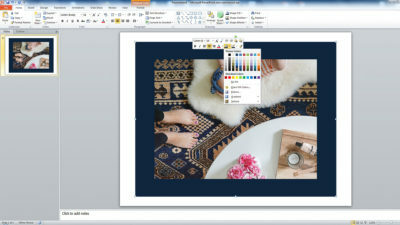 Then right click on the rectangle shape again and choose a color fill similar to the general color of your photo. 3. At this point, do a test print on standard paper to confirm color and sizing look good. 5. 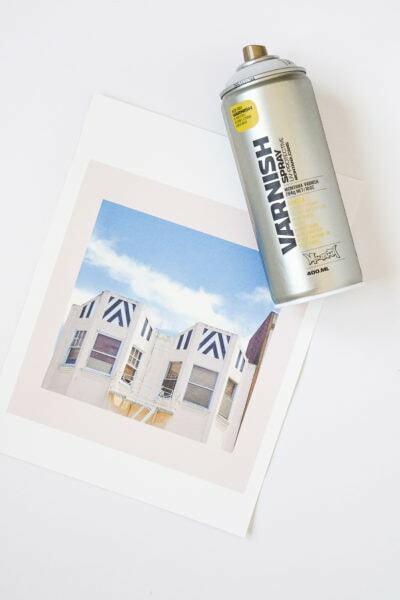 Once your canvas is printed, seal it with a spray coat of UV protective varnish to protect the ink. 6. 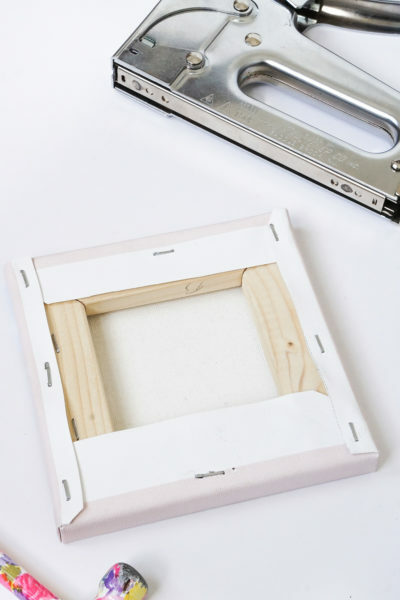 Use a pliers to pull off the staples/blank canvas that came on the blank art canvases. This step is optional, but I found I got a tighter wrap by removing the blank canvas. 7. 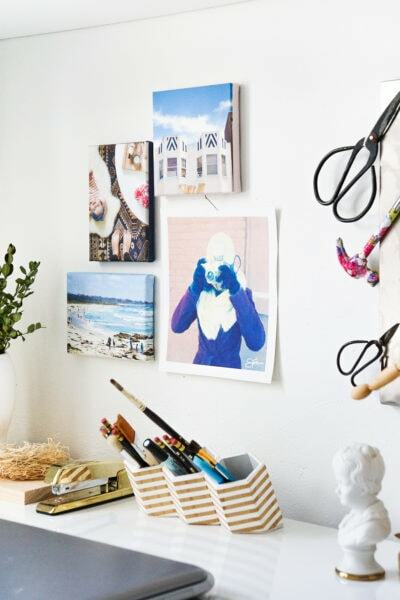 Lay your printed canvas face down, and center the wood frame on the canvas. Check the canvas edges to confirm correct placement. 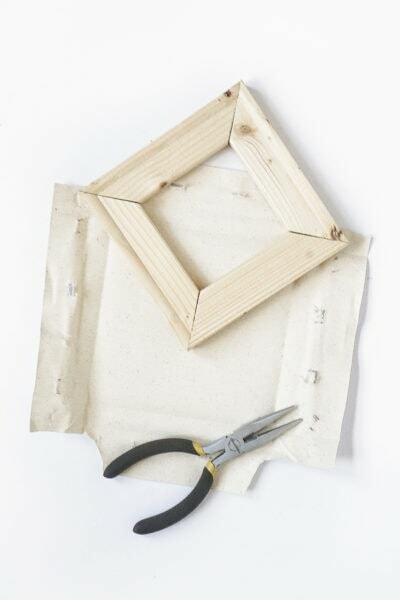 Beginning with one of the longer edges, fold the canvas around the wood frame and staple towards the middle of the frame. 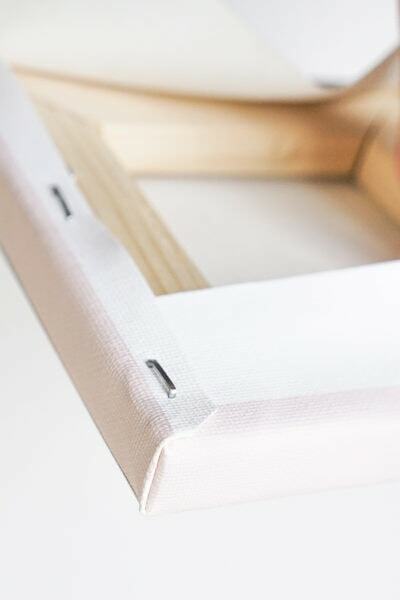 Then fold the opposite edge around the other side of the frame pulling and stretching the canvas as tight as you can. Staple the canvas into place. 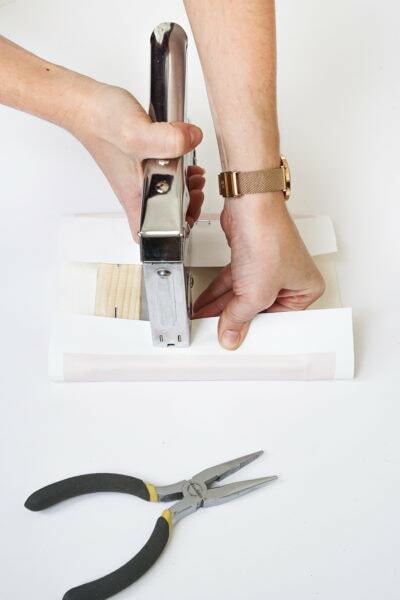 Professionals use a canvas pliers to stretch larger canvases. However, for this size canvas, using your hands work just fine. 8. 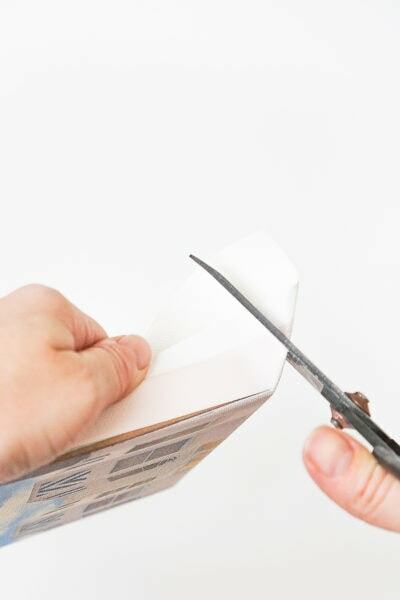 At this point, trim off excess canvas material at each corner at a 45 degree angle to help make the corners easier to wrap. 9. Wrap the first corner by taking hold of the loose canvas corner and pushing the corner in toward the center of the frame. 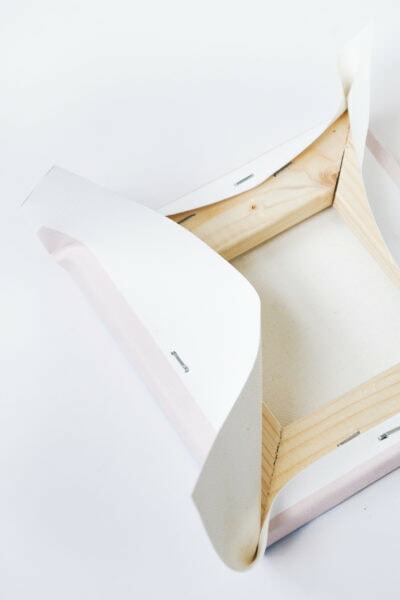 The goal is to make a small fold from the center of the canvas corner down to the corner of the wood frame. 10. Then fold the loose canvas flap onto the frame so the folded edge is parallel with the corner. Secure flap with a staple. Repeat steps 6 & 7 to wrap remaining 3 corners. 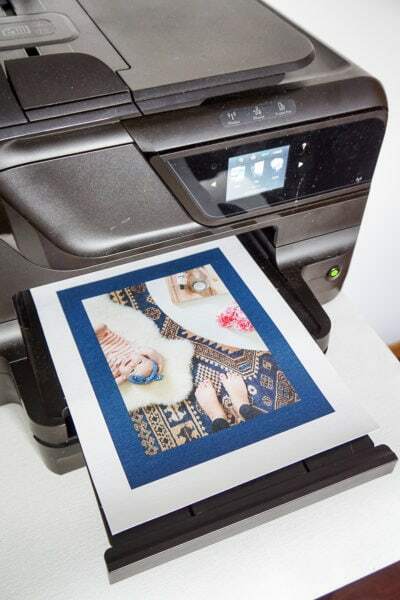 Is printing out photos one of your resolutions, as well? I’d love to hear what your top goals are for this year. Leave them in the comments below! I just love your decoration ideas the canvas print wall art. It influenced me very much. Thank you for sharing this post with us. Hi there ! We’re so glad you found inspiration from the post! The final product is sure to be beautiful! Our women’s church retreat is in less than two weeks. Last year they did a silent auction to help several people like me to be able to go. I don’t have any income and am disabled. I’m looking for ideas for gifts I can make (hopefully inexpensively. This year is going to be an auction. I want to give a as much as possible as the women have paid my way completely last year and half this year. 760-885-8288i have had to move so I’m ptaying I can find the items needed. Thank you for your time and knowledge o put this together. I hope to make nice things the ladies will boys on so there’s money to help more women to be able to go. It was such a blessing getting to know these women. Hi Cyndi! 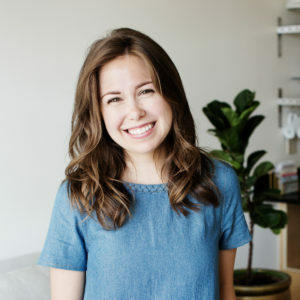 I’m so glad you were able to find inspiration from this project! 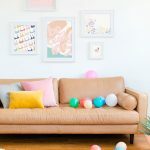 There’s definitely some great options for inexpensive DIY projects you can find my browsing around our DIY category! 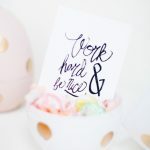 I love that you’re crafting gifts, handmade gifts are the best and so good for the soul! :) Hope you have fun on your retreat! 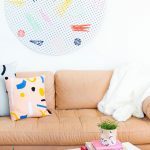 Thanks for sharing the guide I am in love with the canvas art and the frame making process is very easy looking for these kind of frames for a long time now easily make them. I am a great fan of these projects. These wall arts looking awesome and I can’t wait to try them. Thanks a lot for sharing the wonderful article. Hi Amanda, so glad you loved the wall art! Let us know how it goes ! This a really fun and educational activity to join. It is a good idea to encourage people to join activities such as this. I also want to share these art ideas I read from https://panelwallart.com/blogs/artify-your-walls/the-animals-collection/ that might help you. Thank you for sharing this great news! Great information and good ideas. Thank you for sharing this article. 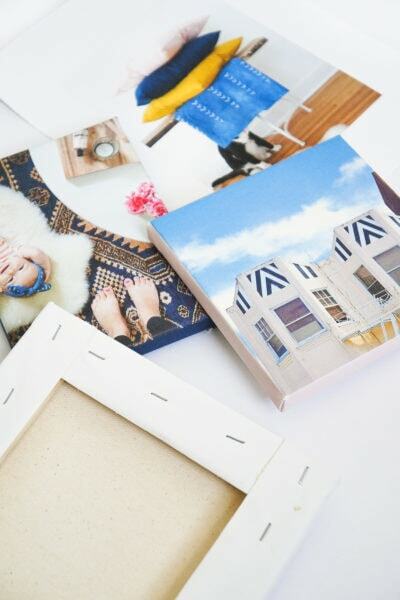 Indeed it is very beautiful and easy DIY print canvas wall art. Thanks! We try to come up with DIY projects that aren’t too hard to do. Interesting article! Wall arts play an important role in interior design. 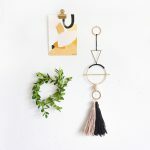 These are great way to add some flair to your room and really put your own personal touch on it. Thanks for sharing.